A 49-year-old man attacked children with a hammer inside a primary school in China's capital, injuring 20, officials say. 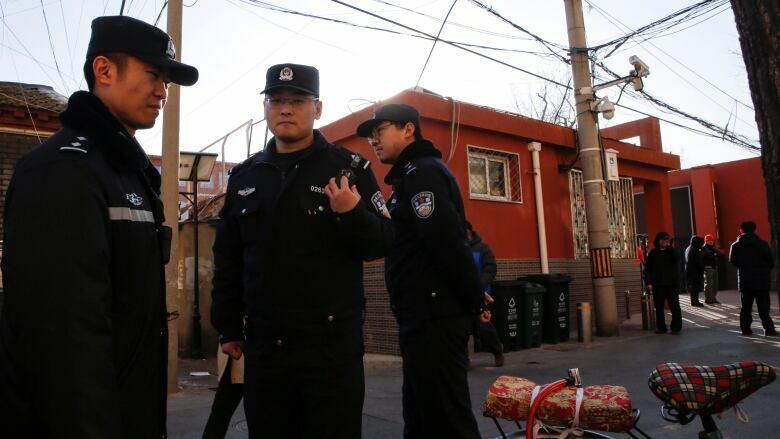 Three of the children have serious but non-life-threatening injuries, the Xicheng district government said on its social media account, adding that the attack took place at 11:17 a.m. local time. The suspect, with the surname Jia, was apprehended at the scene, the statement said. A native of northern Heilongjiang province, Jia was employed through a labour service company to perform daily maintenance work at the school. His contract was set to expire this month and had not been renewed. As an expression of his dissatisfaction, Xicheng district said, Jia wielded a hammer that he normally used for work to injure students during a class. All of them were receiving hospital treatment. The primary school, Beijing No. 1 Affiliated Elementary School of Xuanwu Normal School, was founded in 1908. According to the school's website, it has 2,537 students and 199 teaching personnel. Outside the school gates on Tuesday afternoon, parents who arrived to pick up their children said they had received little information about the attack. "I was terrified," said an elderly man who gave only his surname, Xie. His grandson is in Grade 2. "[The school] didn't tell us anything," Xie said. "It would be fine if he attacked us old people, but kids are young and innocent, and they don't know how to defend themselves."